We are back in full swing now that we are mostly over our ailments. Despite some chilly dusk till dawns in the last week I've definitely noticed the weather is warmer. I've even left my winter coat at home for the last 3 days. 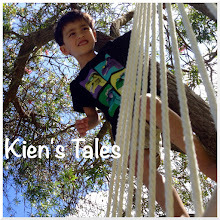 Warmer sun filled days means more outdoor expeditions, which suits Kien's desires to no end. 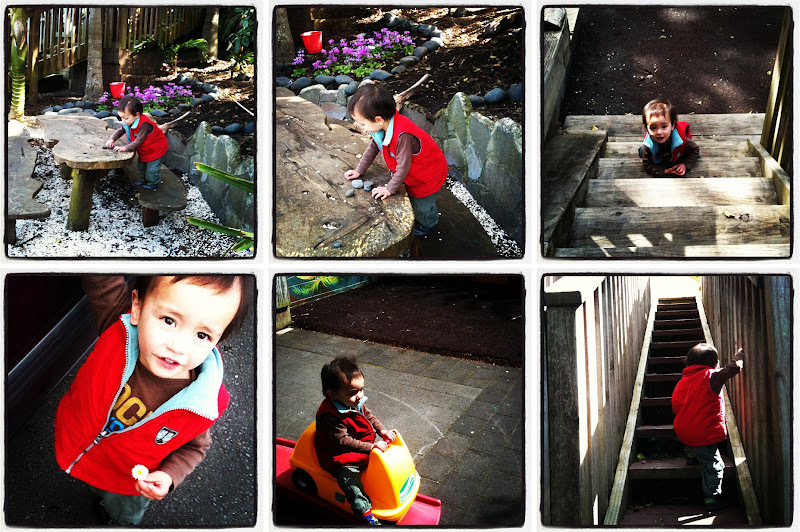 We made it back to Ponsonby playgroup in the morning - actually only just in time for morning tea. I made an extra effort to do all our laundry before we left the house. Good thing about daylight savings is that Kien's body clock is still an hour behind actual time, so by the time we left the house it felt like normal, and nap time is an hour later too so we were able to enjoy the facilities without rushing home no sooner as we arrived. There were not many people at playgroup - perhaps that's because we were late, or they were all hiding inside. We didn't even step foot inside as Kien was way too busy zooming around. I had my heart set on going to the beach on Tuesday afternoon. The clouds had appeared from what seemed like no where after Kien woke from his sleep, but I wasn't going to let them spoil my plans of picnicking sea side. We headed off to Home Bay - a cute little beach at the end of Wallace Street in Herne Bay. I love that we have access to all these little beaches just 5 minutes drive from our apartment. Kien and I kicked the ball around when the tide was out. As the surface had a slight incline the ball kept rolling down toward the water, and Kien took great delight in chasing it. He drew with sticks in the sand, and played with seaweed that he kept calling "raisins". I guess they do look like shriveled up grapes. The "reserve" part of the beach is a little patch of grass in amongst the trees. We moved our blanket up there when the tide started coming in. Kien just wanted to walk back and forth on the wall. It was quite nerve racking as he could slip and fall off, but do you think he was scared? I hadn't realised the time had ticked by so quickly. We were there for a good few hours - from when the tide was way out until it was lapping close to the embankment. Kien couldn't resist trying on my hat. He then ran around the beach with it for a bit. We had a really good day. Budding photographer in the midst.